This Earth Day sign the #CareAboutYourAir pledge with Fresh Wave. Do you know what ingredients are inside air fresheners? Many chemicals that can be toxic to you and your family. And don't forget about the environment. We want to use non toxic products that are better for our families and the earth. Learn: Read the labels. Ingredients in air care products, household cleaning supplies and laundry products impact your family and the environment. 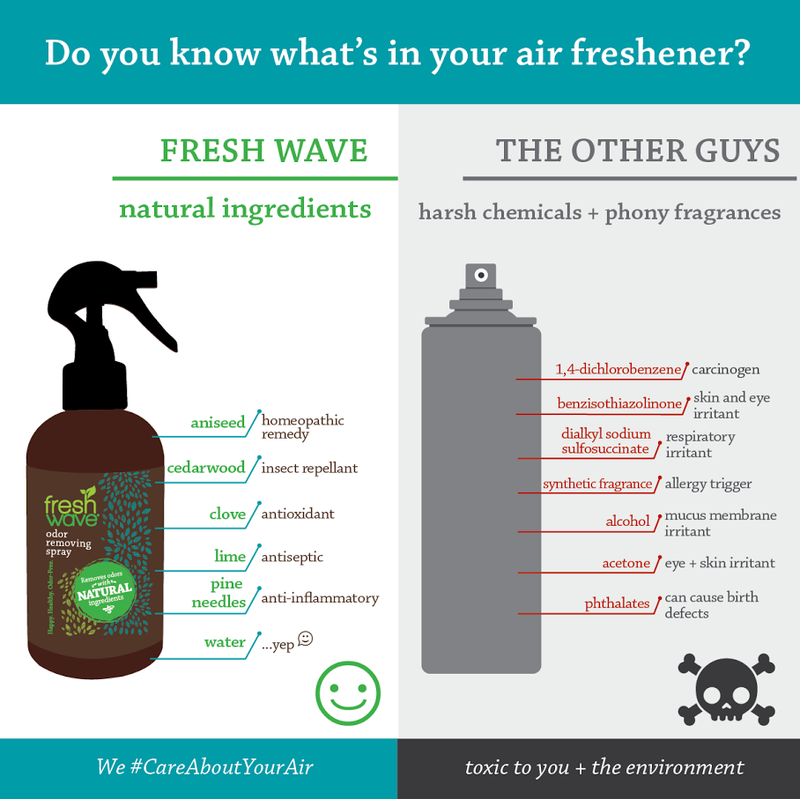 Act: Swap harsh chemical products for those made with natural ingredients, even if it's only one product - like your air care solution. Take the pledge here on the Fresh Wave website. We like using the Fresh Wave odor removing spray because it has no chemicals and the scent is easy on the nose. I'm not a big fan of fragrances. I like floral or natural. Do you have any plans or projects for Earth Day? I'm always looking for new environmentally friendly products to try. I know air care products are suppose to be the worst so this is a find!